A court in Kazakhstan has sentenced two killers of Olympic bronze medal-winning ice skater Denis Ten to 18 years in prison following a closely watched trial. The judge at the Almaty court on January 17 ruled that Nuraly Kiyasov and Arman Kudaibergenov should serve their sentence in a high-security prison. The killing of Ten last July shocked the nation and triggered an impassioned debate about the need to radically overhaul a law enforcement system many feel is not fit for purpose. The skater was stabbed to death after he confronted Kiyasov and Kudaibergenov while they were trying to steal the wing mirrors off his car. Another defendant, Zhanar Tolybayeva, was sentenced to four years in prison for failing to report the crime to the authorities. Ten’s murder created such a clamor that the General Prosecutor took personal charge over the investigation. Officials were eager to be seen devoting particular attention to the case following a swell of criticism directed at the police over perceptions that they are embroiled in corruption. Major cities like Almaty and Astana have for many years been scourged by a wave of petty crime. The theft of car parts, such as mirrors, headlights, hubcaps and dashboard cameras has become commonplace. It is received wisdom — although firm evidence for this is hard to come by — that police are actively engaged in turning a blind eye to such crimes in exchange for financial favors. Police reform has shot straight up to the top of the policy agenda, with even President Nursultan Nazarbayev issuing calls for a deep revision of how recruits are hired. In an illustration of the kind of distrust that the public reserves for law enforcement, even Ten’s relatives questioned whether the real ultimate culprits had been captured. The ice skater’s mother, Oksana, speculated that Ten might have been the victim of an ordered hit and that this fact was being covered up. Speaking in court during closing arguments on January 16, Oksana Ten claimed to have evidence that although Kiyasov came from an economically challenged background, his financial standing suddenly improved after Ten was murdered. Oksana Ten’s lawyer, Nurlan Ustemirov, claimed in court that Kiyasov had demanded $5,000 for the sale of Ten’s car mirror to an unidentified person for “the job done.” It is unclear on what evidence Ustemirov was basing his account. In October, the Ten family turned to Instagram in a public appeal for any more witnesses to the killing. That effort is not known to have yielded any additional information or weight to an alternative version of events, however. While authorities appeared eager to demonstrate that the investigation was exhaustive, the hearing unfolded in a less-than-transparent manner. 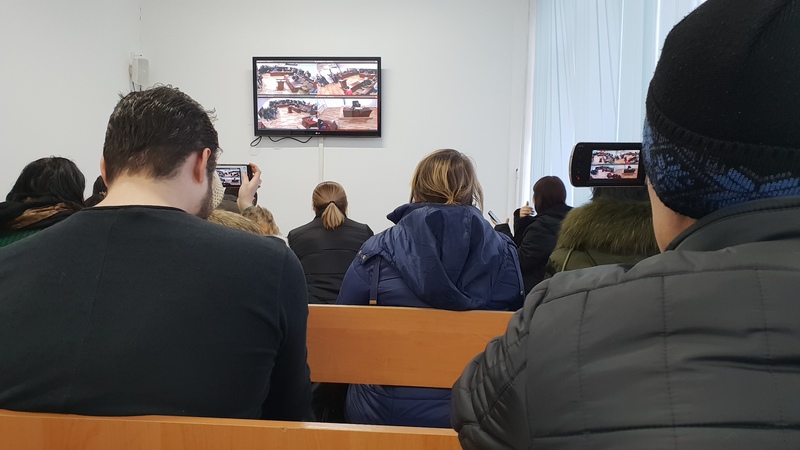 Only television cameramen were allowed into the courtroom, while print journalists were required to follow hearings via a video link-up in a separate location.